A late Adam Hanlon strike was enough to earn Bray Wanderers a 1-0 over Limerick at the Carlisle grounds on Friday night. It was Wanderers fourth league win of the season and it moves Alan Matthew’s men up into fifth position. In what was a tense encounter the first real chance felt to Limericks Thomas McManus 22 minutes in but he blasted wide with the goal at his mercy. The visitors dominated the first half and had another chance shortly after but Stephen Folan’s header just went wide. Limerick had another chance to take the lead 50 minutes in, Stephen McGuinness collided with one of his defenders and the ball broke loose but Dave Webester managed to clear. Minutes later, they had another chance when Samuel Oji blasted the ball over the bar from a corner. The Seagulls first real chance came in the 62nd minute when a Jamie McGlynn cross just missed David Scully. That chance woke Wanderers up though and they started to attack with menace. Graham Kelly twice went close to breaking the dead-lock and he created the opening for Wanderers goal. He held the ball up at the edge of the box in the 81st minute and it allowed Adam Hanlon blast the ball into the net and record his first goal for the seagulls. 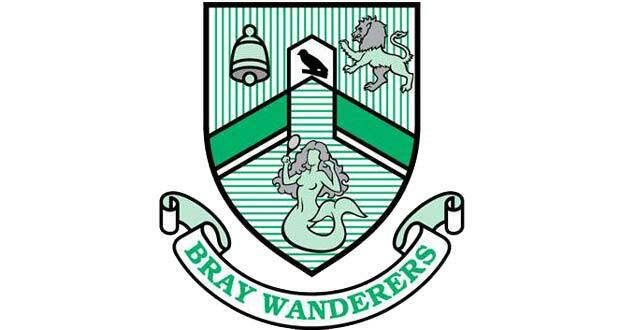 Bray Wanderers: McGuinness; Cooney, Webster, Mitchell, McGlynn; Scully, G.Kelly, Zambra, O’Neill, Cassidy, Akinade. Subs: Hanlon for O’Neill 71 Minutes.